Providing dedicated technical support & collaborative solutions. Producing more than five million heavy duty cable assemblies for our valued partners leading the agriculture, truck and construction, and a variety of other industrial markets globally. Kalas is a UL, SAE and TS certified manufacturer with in-house testing and a UL representative on site two days each week for quality you can trust. Our commitment to on-going training and education assures the most current research and technology is implemented into our products and processes. 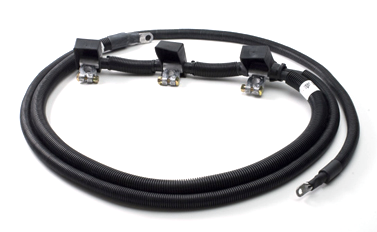 Strategic partner to blue-chip customers & global brands for custom terminated battery cables across a broad spectrum of markets including busing, trucking, agriculture, construction, material handling, marine and more. Specializing in small lots with high variability, Kalas offers strategic vertical integration of copper stranding, insulating compounds and terminate value-add services. We offer a comprehensive product line from basic components to specialized customer specific constructions designed for power distribution. Backed with expert engineering assistance for cable design and custom constructions. Kalas provides the skill and experience needed for the highest quality manufacturing and price-effectiveness. Products are tested with on site UL/SAE product testing laboratory. Custom line sequencing, special packaging and component kits offered. For use on tapered battery posts, Kalas die cast terminals have proved themselves in a wide range of industrial applications. They are a cost-effective product that is popular for off-road equipment such as forklifts, bulldozers and farm tractors. 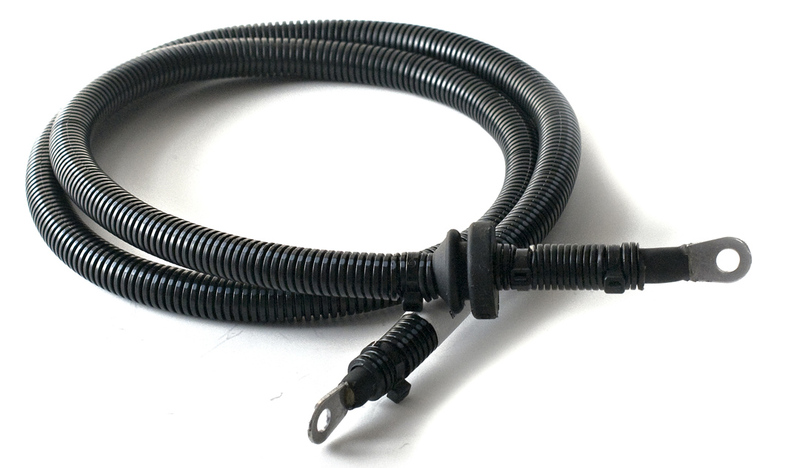 The pressure-cast lead design is reinforced with steel insert and provides an excellent electrical bond. 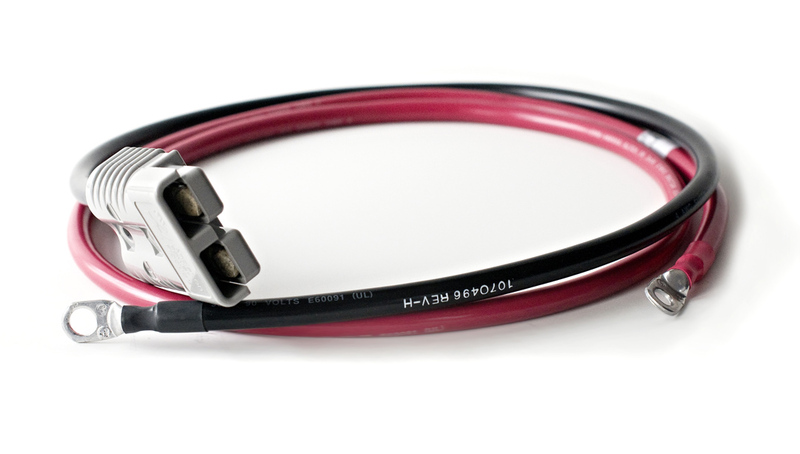 Kalas offers a selection of boot styles for all types of its terminals, cables and harness assemblies. Our ring terminal cables are terminated with closed barrel copper lugs in both straight configurations and styles bent at an angle. Thimble cables can also be supplied in combination with other terminal styles, including flag terminals. Products are available with almost any hole size and with special tongue lengths. 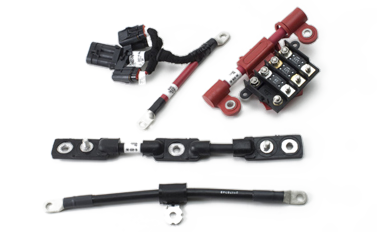 Kalas manufactures harness assemblies for starting and powering requirements. We offer a comprehensive offering of basic configurations to complex, custom designs. 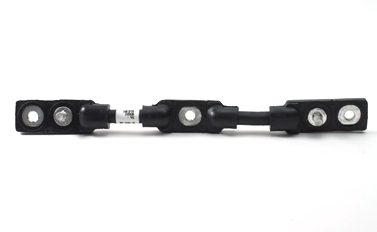 Available features include multiple wire ring-to-ring connectors, as well as all types of terminals, covers and power connectors. 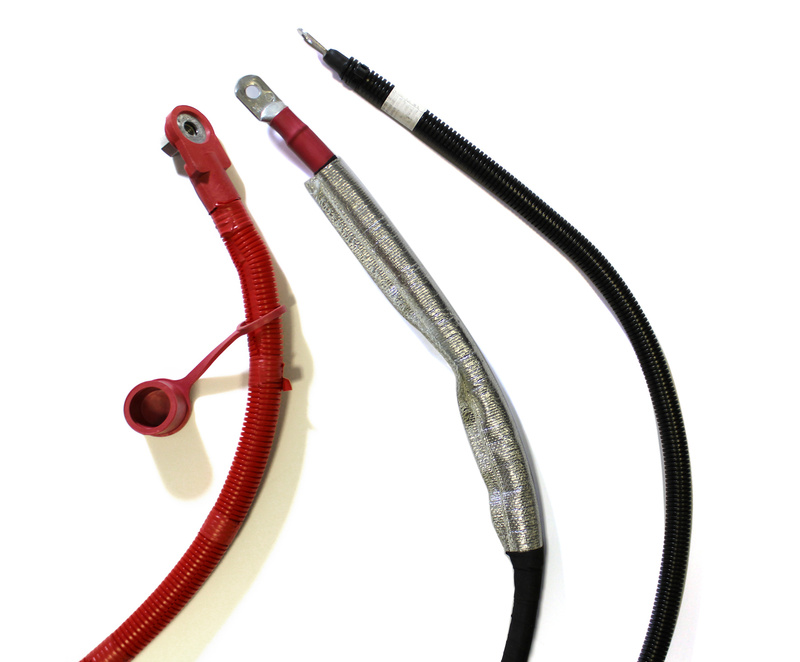 Used primarily as #4, #6, and #8 starter cables, Kalas small cable assemblies are found in such applications as motorcycles, lawn tractors, ATV’s watercraft, snowmobiles, generator sets and HVAC equipment. 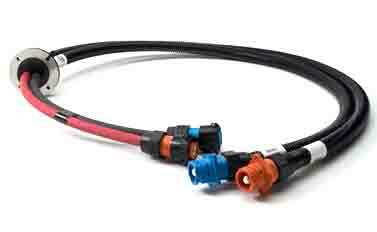 We custom make these cable products to your prints and specifications. Tell us your needs – we excel in providing solutions to satisfy special requirements. 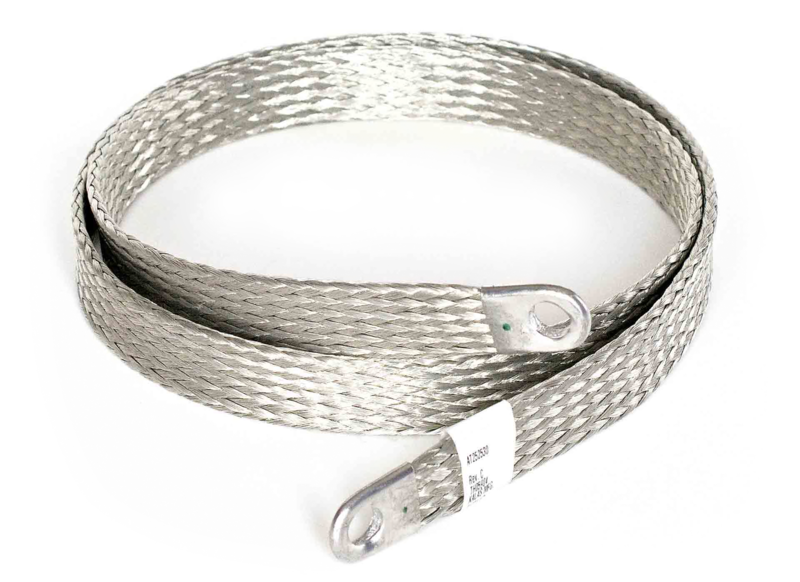 Kalas Ground Straps are constructed of braided tinned copper in sizes #10 thru 4/0 plus other custom sizes available on request. They are available with a wide range of hole sizes and various terminal types. Kalas protective coverings offer protection from abrasion, flame, heat, oil/fuel and other environments. 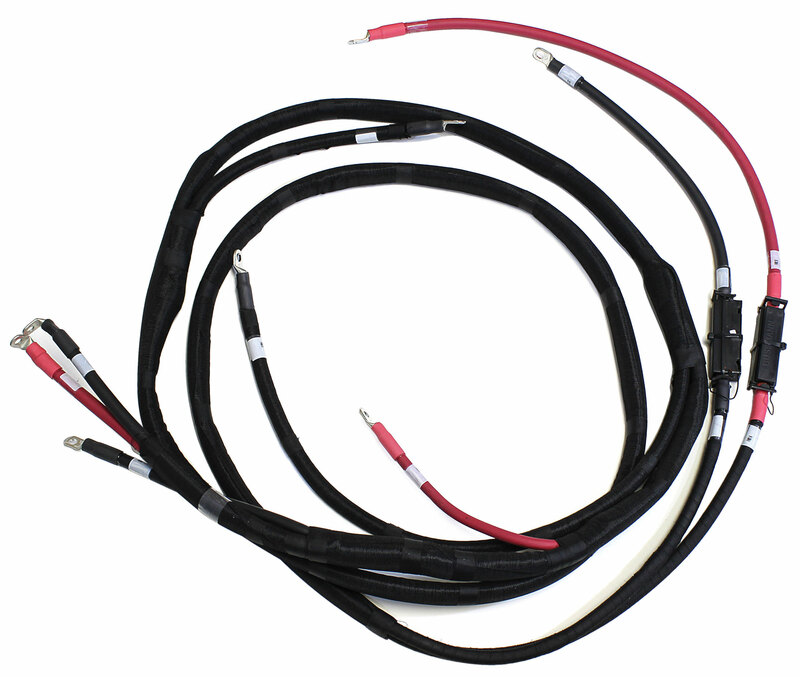 Kalas maintenance-free cable assemblies provide extra protection against harsh environments. Terminals are crimped to the cable, then encapsulated in PVC. When installed, this design forms a weatherproof seal to maintain the superior electrical characteristics of the terminal. We produce configurations for all types of series and parallel applications, in sizes from #6 thru 4/0. 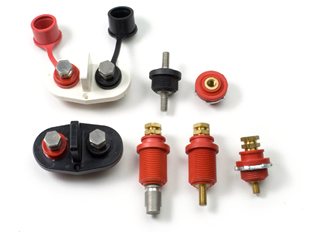 There is a complete selection of terminal styles to mate with battery nuts, jump start nuts, ½” studs or special hardware. Kalas terminated cable products can be shipped as bulk items or kitted together with related accessories, components and materials. Kalas offers line-sequencing to your specifications and ready for installation with special labeling also available.